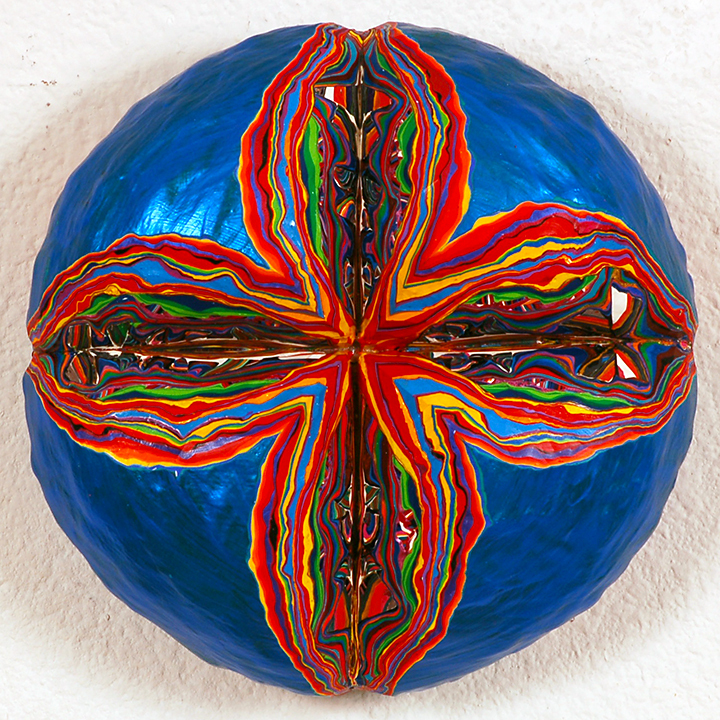 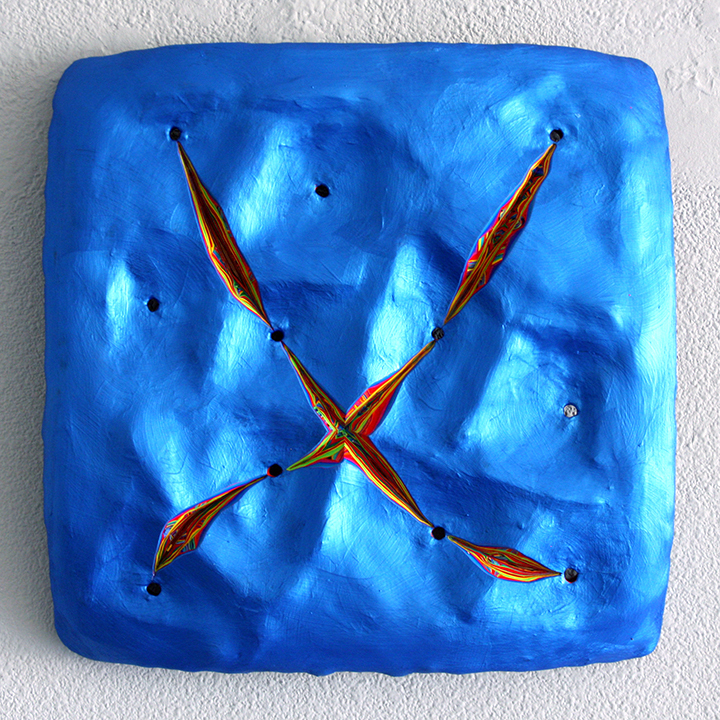 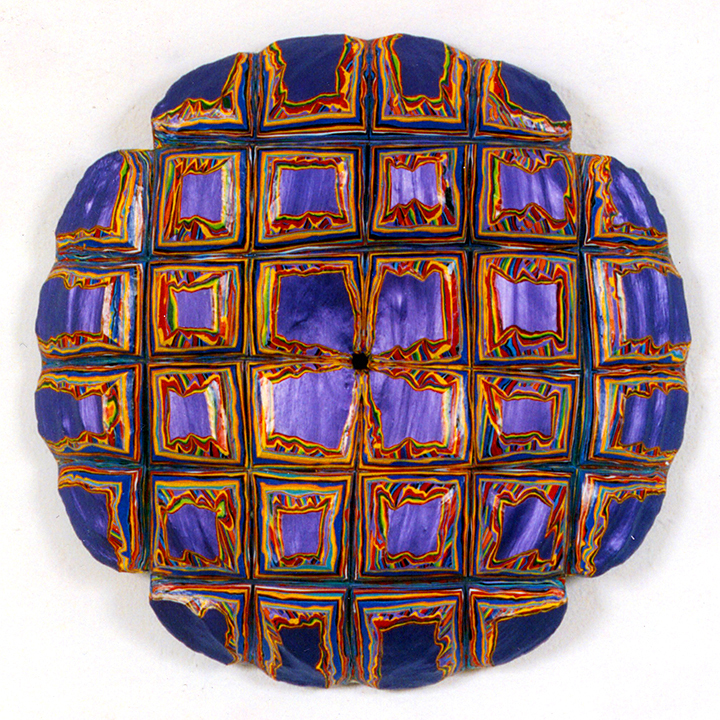 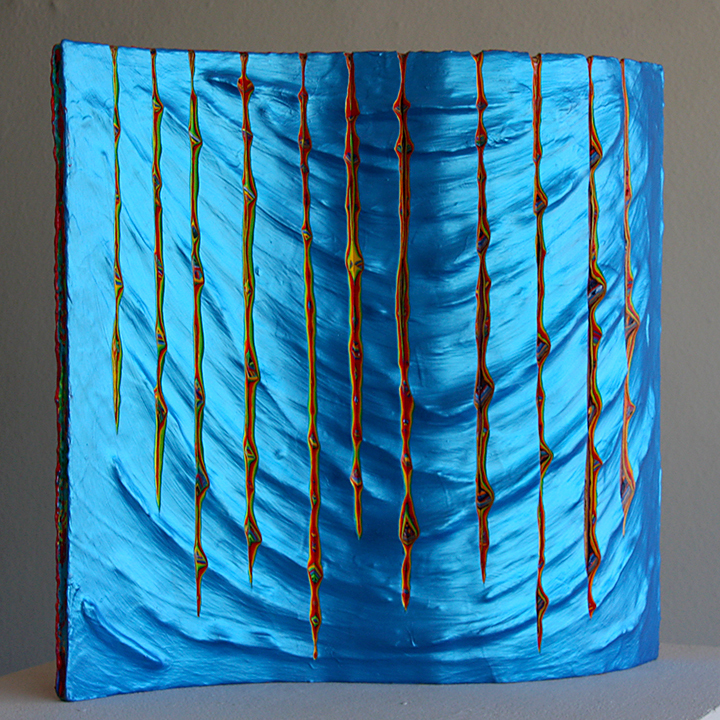 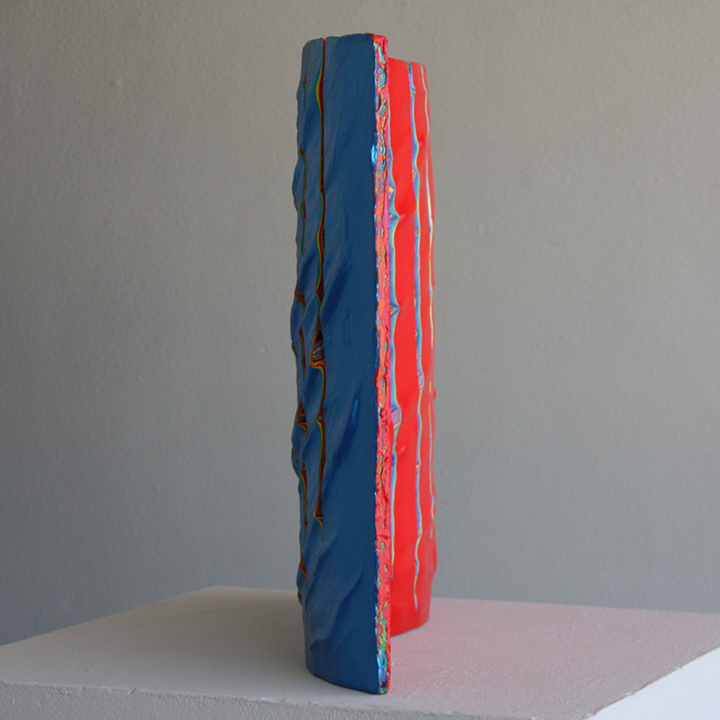 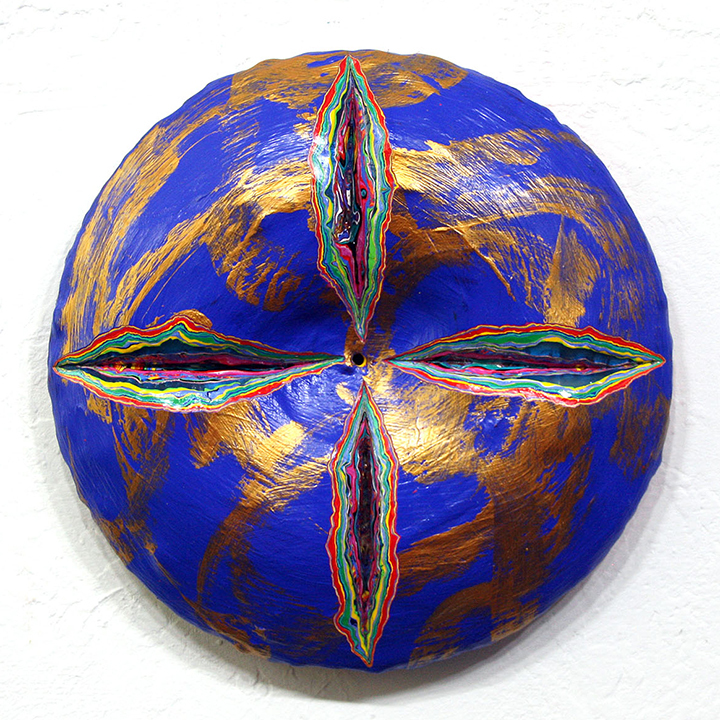 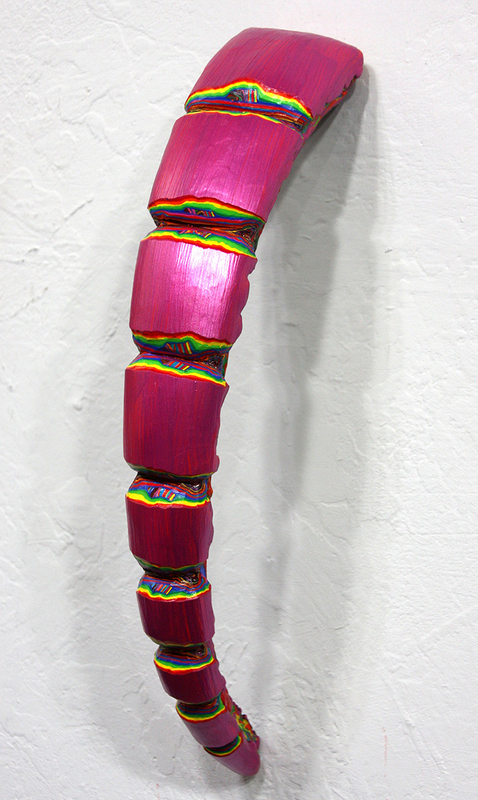 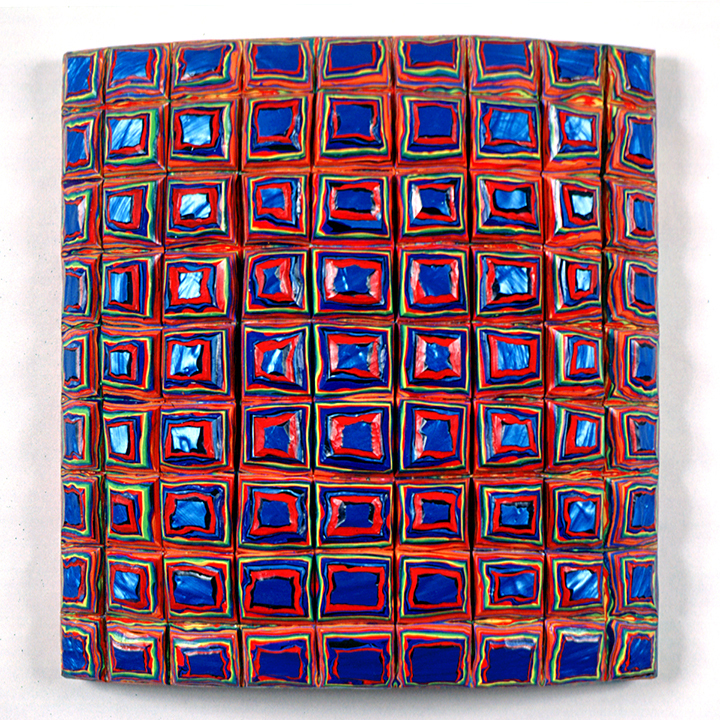 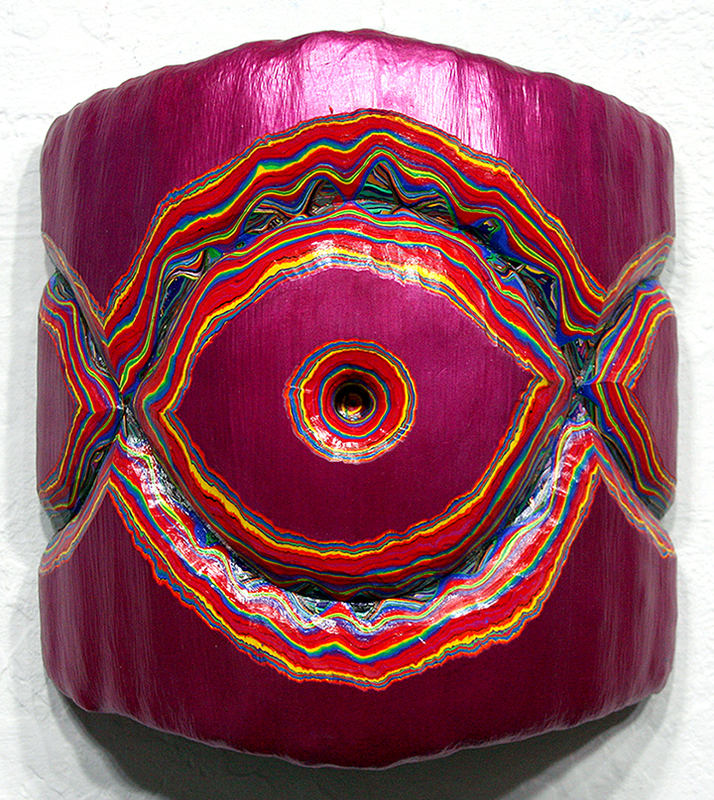 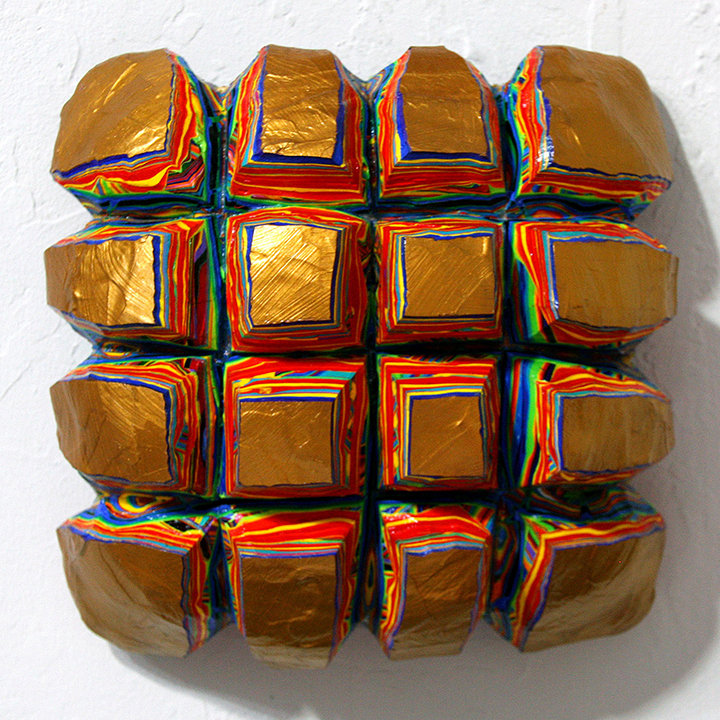 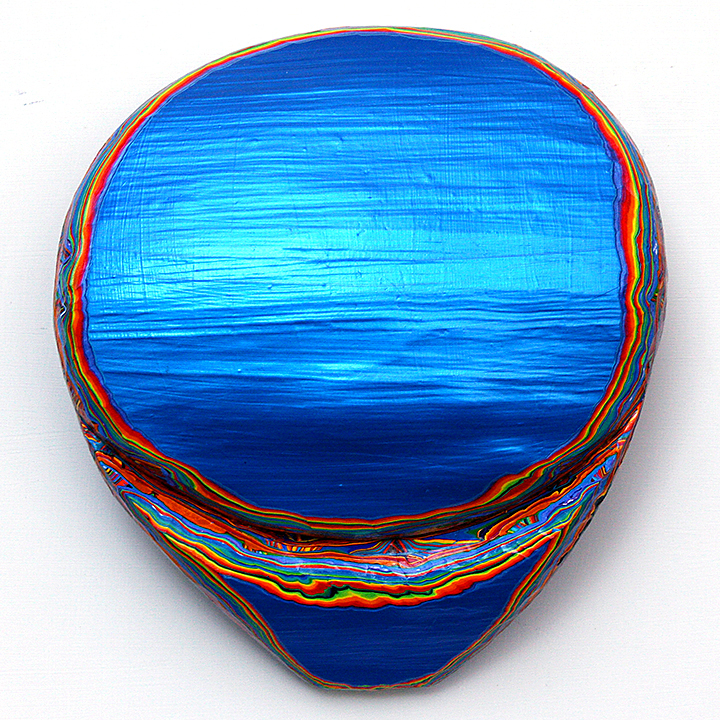 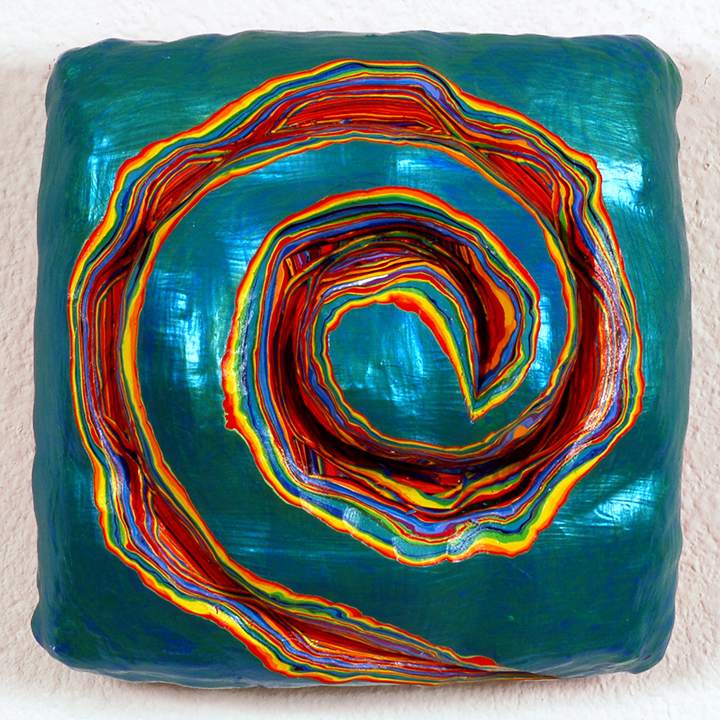 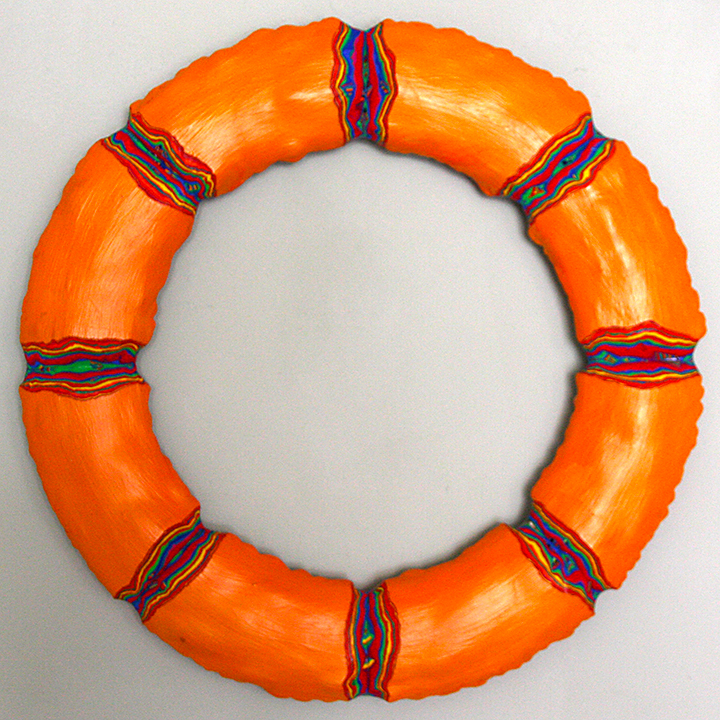 I like to make things–unusual objects that exist somewhere between painting and sculpture. 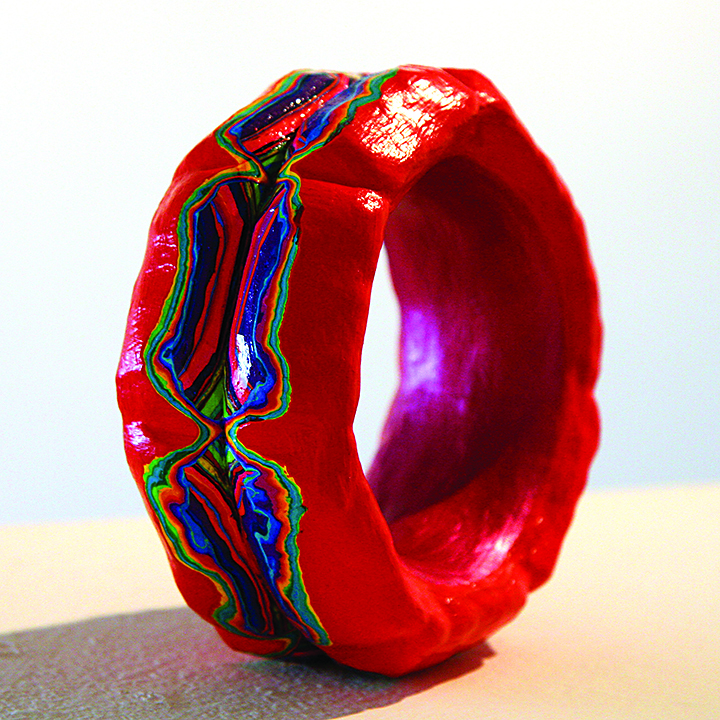 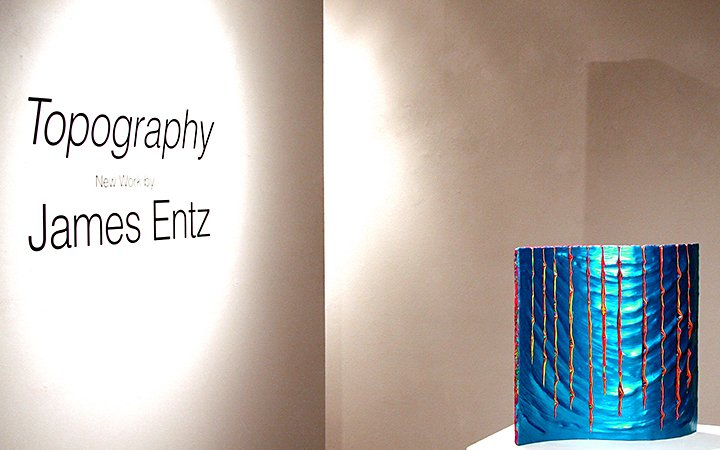 The making of these objects are an attempt to explore the contours of the sensory world. 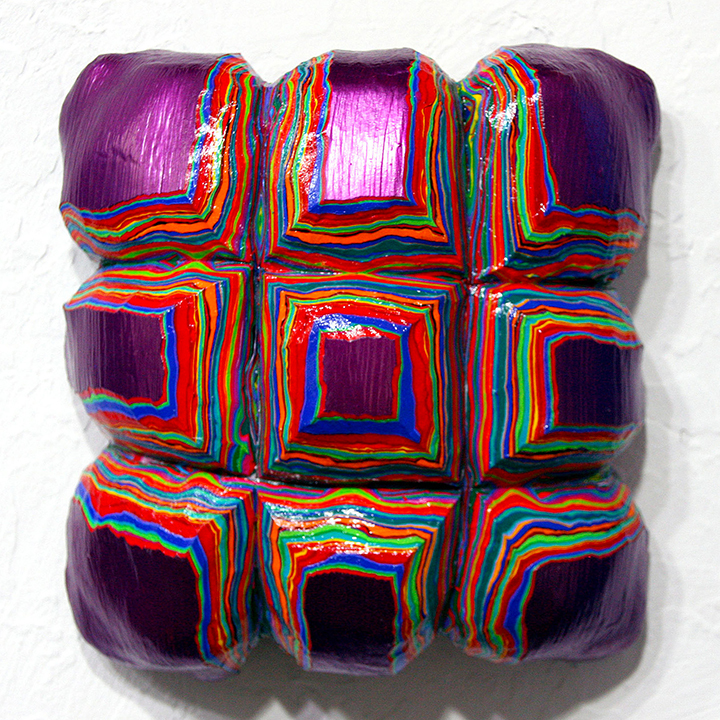 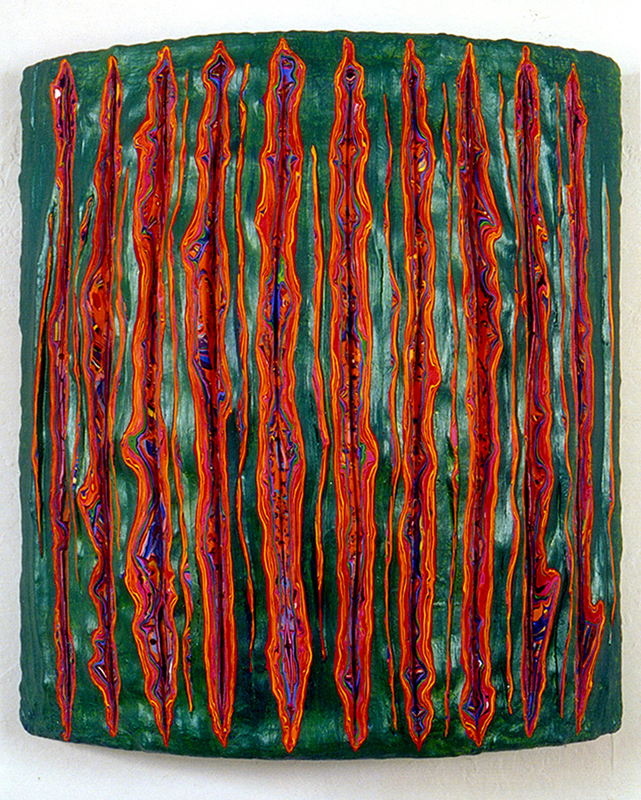 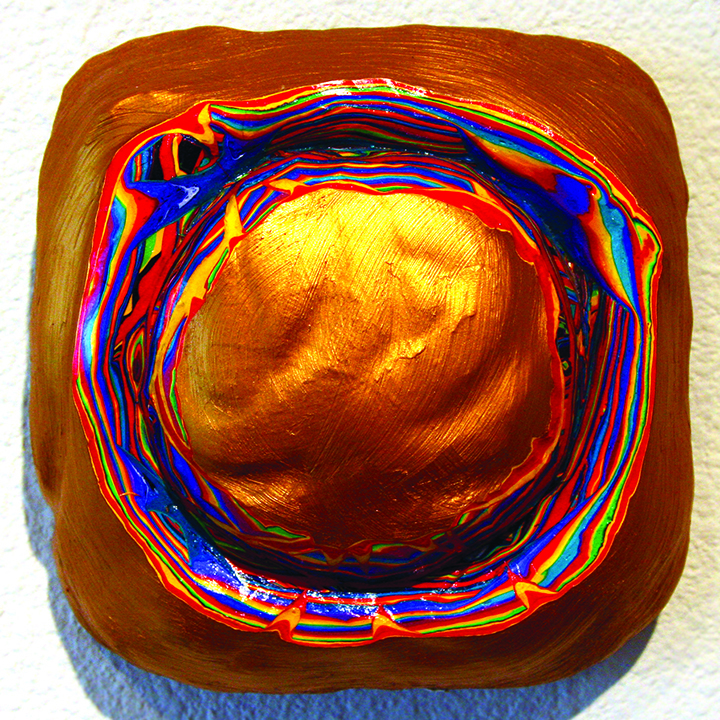 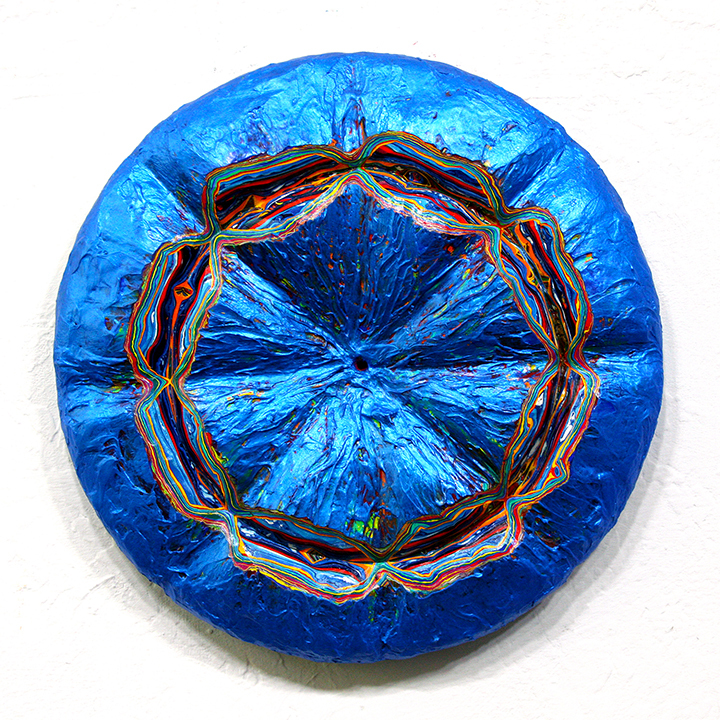 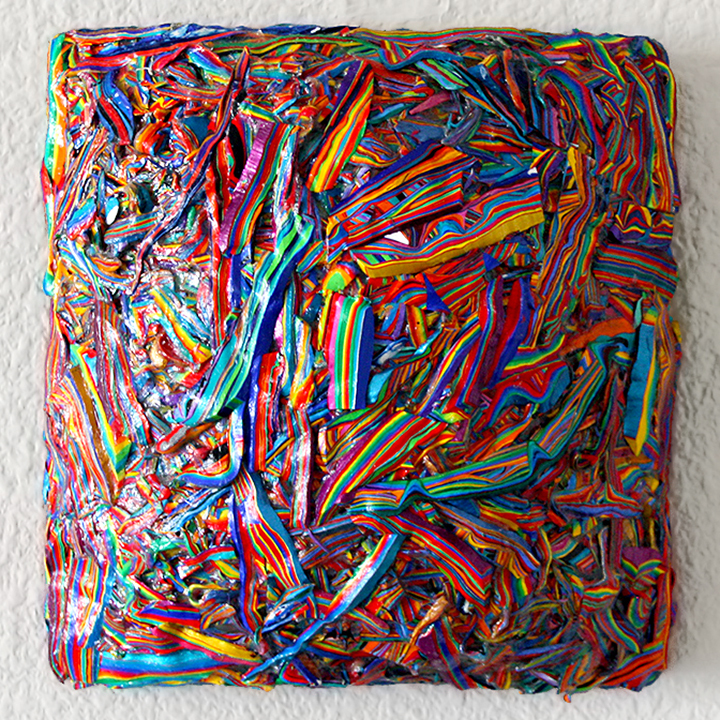 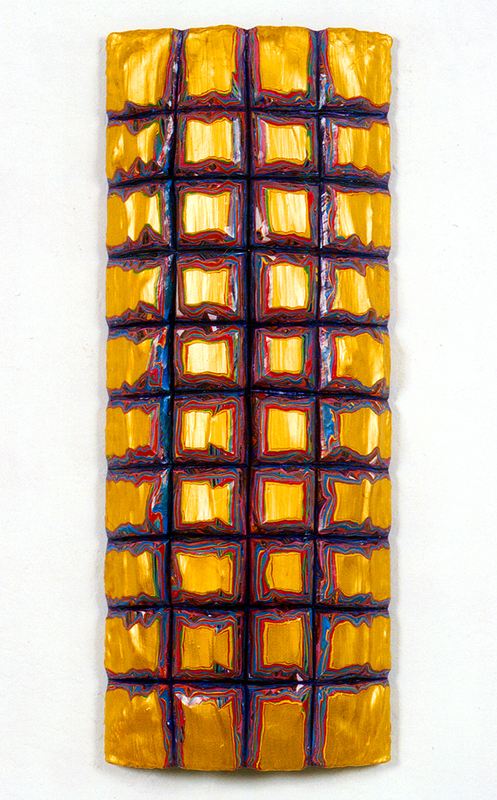 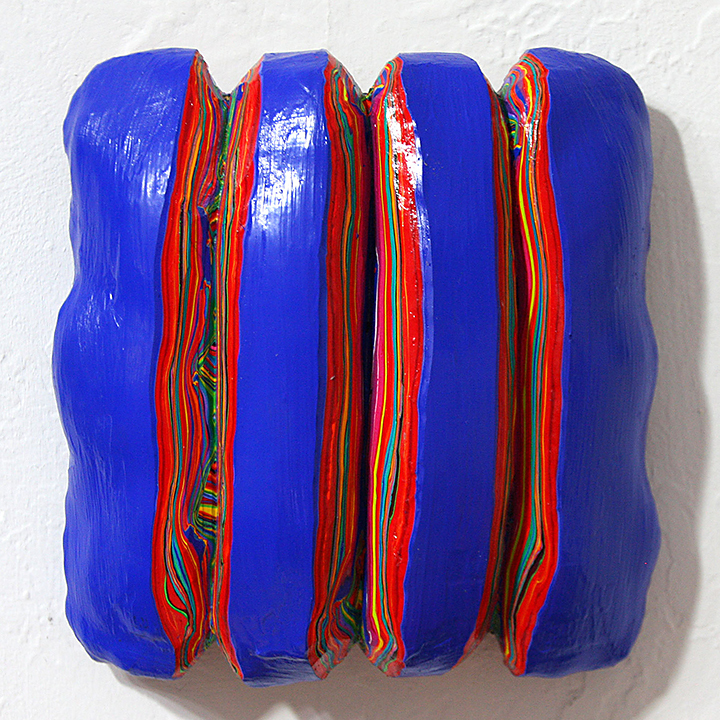 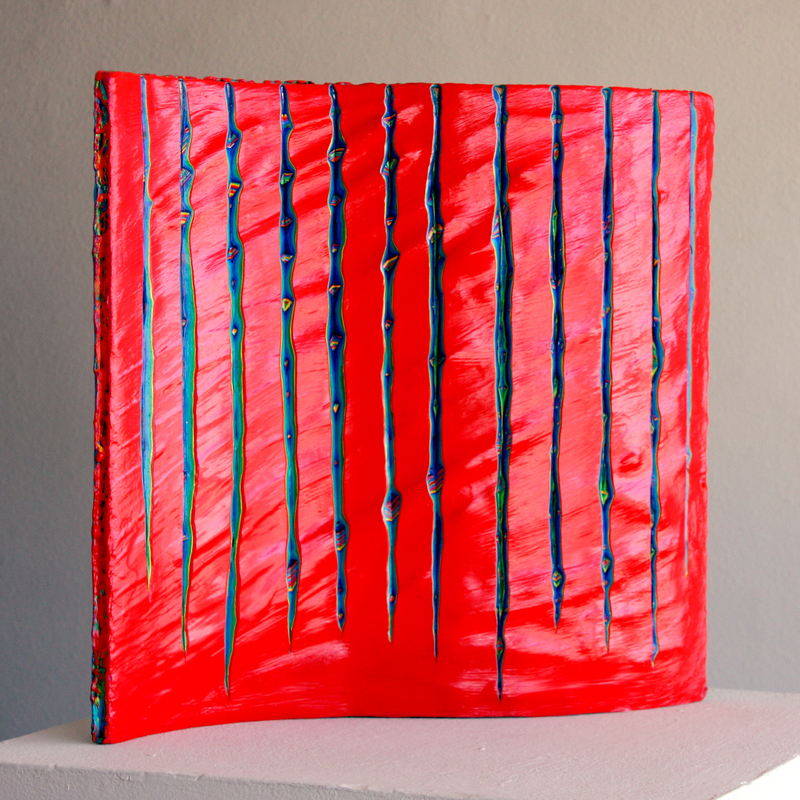 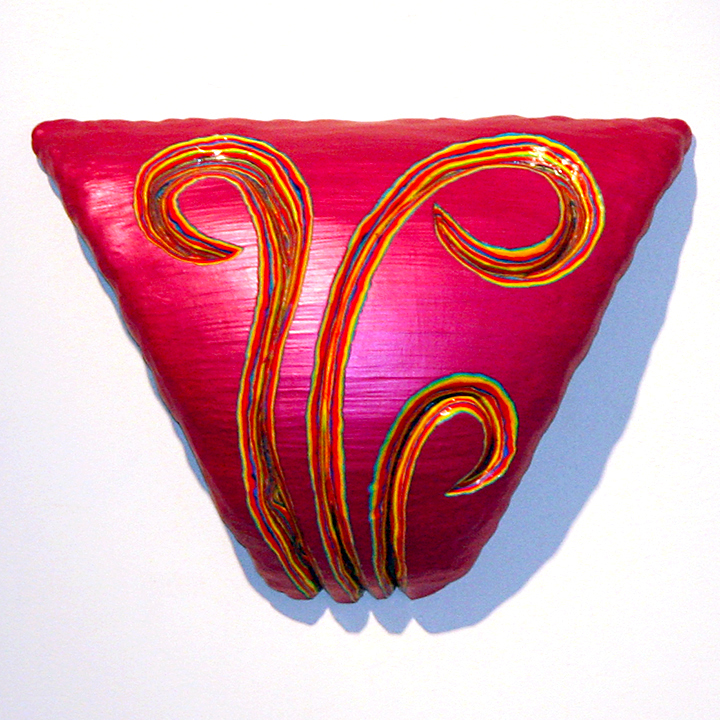 These sculptural paintings are visual terrains of dense materiality, of various surface textures, of layered luminous color, and thick sculptural paint creating contoured relief. 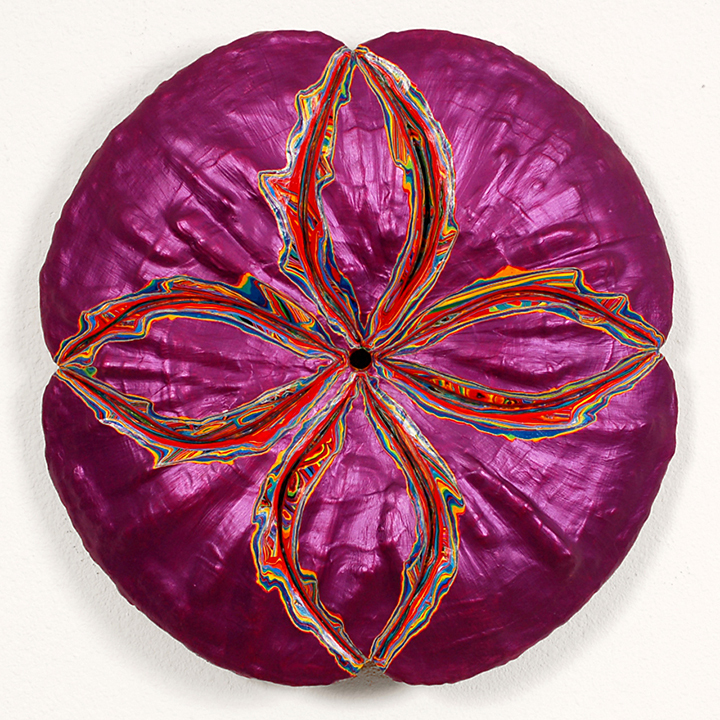 These constructed paintings explore the qualities of paint: paint as fluid and solid, and painted, poured, layered, carved, cut, and constructed paint objects which often take a year or more to complete. 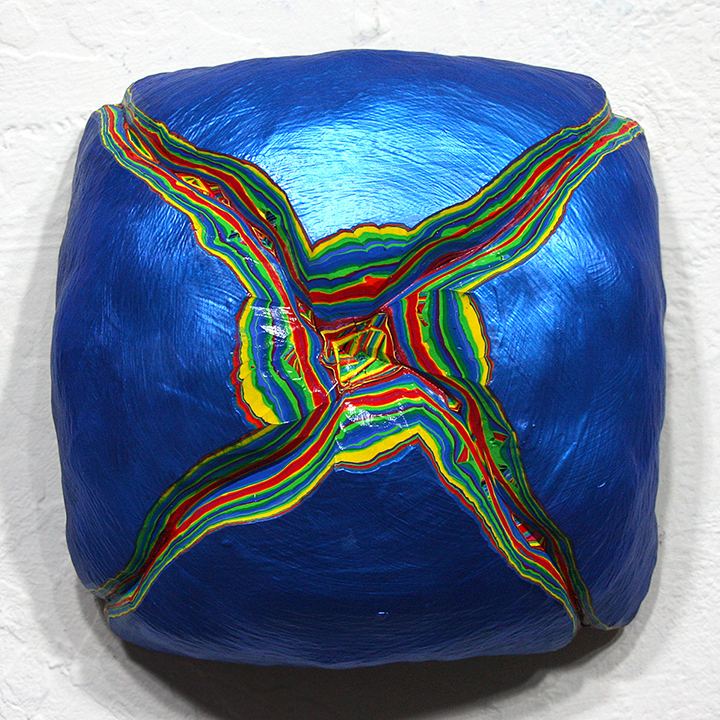 These simple and complex physical forms made of paint are topographical and experiential objects that are an extension of my creative self.